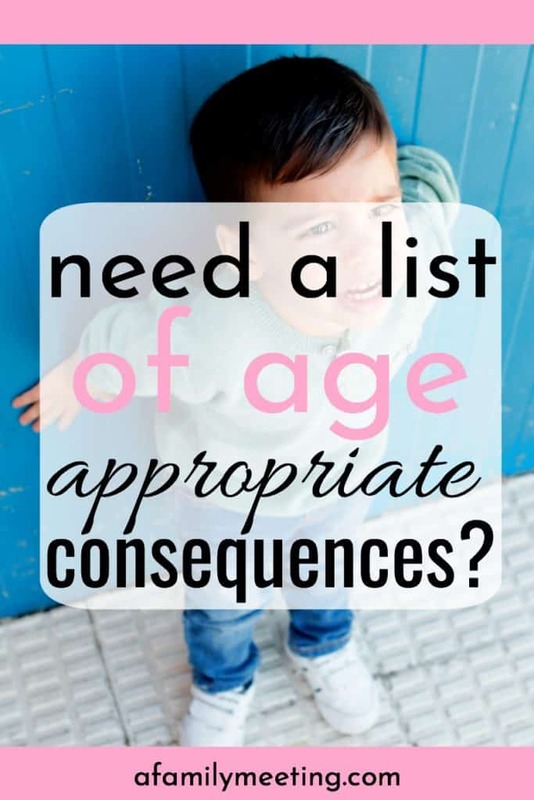 Need a List Of Consequences for Bad Behavior that is Age Appropriate? You are here: Home / Preschooler / Preschooler Behavior / Need a List Of Consequences for Bad Behavior that is Age Appropriate? You’re looking at your child as if to say, “are you serious, right now? I know you know better than that. What the heck?” You know you need to do something. Because, while she isn’t out of control… behavior, snowballs. And the last thing you want is for her to become out of control. So, there you are, looking at your child, wishing you had a master list of consequences for bad behavior that were age appropriate for your child, to refer to. What’s Better Than a List of Consequences for Bad Behavior? Well, I’m sorry, but I won’t give you one. I will, however, give you something better. This is going to be one of those, “teach a man to fish” kinda lessons. From me to you. Because while I could give you list after list of possible consequences for your child – until you get it deep down inside, it won’t make a difference. Your family is different than mine. And mine is different from the neighbors. And theirs different from the other. Taking away screens won’t help you if you don’t allow screen time. Taking away dessert after dinner won’t help you if you don’t do sweets every day. No, the truth is my list of age-appropriate consequences for a child is going to look different than your list, and the list of your neighbor. The important thing then… is that you HAVE a list. And the more important thing than that is that you ENFORCE the list! And that, my friend, is where I can help you! Get out your pen and paper, because we’re going to do some work! It’ll be fun and empowering work. It won’t take that long. And when you’re done, you’ll feel so freakin’ confident in your good parenting efforts, you’ll need to give yourself a little pat on the back! #2. Make a second list. Include in it, all the blessings your family enjoys. I have a 2-year-old named Joe, he loves cookies and building blocks with mom. Joe has started thinking it’s funny to throw blocks while we’re playing with them. I put the blocks away, and walk away telling Joe, “You will not be playing blocks because you are choosing to throw them.” You may try again tomorrow to play blocks if you do not throw anything the rest of today. After Joe plays blocks without throwing them, he gets 10 extra minutes of block time as well as a reward cookie for a job well done! The end result in Joe’s brain is: X behavior made life no fun. No blocks. No playtime. And No cookie. I don’t want to continue to do X behavior. Z behavior made mommy happy, gave me extra block time AND a cookie! I want to do more of Z behavior! I have a 4-year-old named Jenny. Jenny loves My Little Pony, MnM’s, and playing outside. Jenny has started being very sassy. She is rude when she speaks to me, and throws tantrums. I will not be buying any more MnM’s. I am going to put all her my little pony’s in a box and store them away. Jenny may go outside, however, she can not play with or on any outside toys. She is old enough to show me one full week’s worth of good behavior. When she does so, I’ll reward her with a my little pony doll or two. She can continue to earn back the toys, the MnM’s and outside play toys over time. I have a 6-year-old named Zack. Zack loves playing video games and jumping on the trampoline after school. Lately, Zack has not been picking up his room correctly. He is being lazy and sloppy. One day when Zack gets home from school, I let him know that he will not have access to his games, screens or be allowed to play on the trampoline until his room is cleaned to my specifications. Whether that takes one day or a month is up to Zack. However, until he does what he is told, he won’t be doing much more than eating, doing school work and sleeping. Many discipline tactics and consequences don’t work long term. They don’t change a behavior deep down in the heart of a child, because there is no behavior ownership taking place. If you take something away from a child for a day or even a week, a child simply has to weather the storm and wait it out. When you train and teach him that every good thing available to him is a blessing and a privilege that has to be earned, he can take responsibility for earning privileges. Want something great, Zack, Joe, or Jenny? Yes?! Ok… go get it! You have all these things available to you. They simply require that you, _______! Toys, screens, trampolines, and treats don’t show love to your child. Those are THINGS. Things are privileges. Special events and times are privileges as well. Your family stands for something. If your child is not displaying the kind of behavior your family stands for, then it stands to reason, she can not participate in the blessings that come with being a member of your family. If you have a family night full of fun planned, but your child will likely spoil it with a bad attitude… she doesn’t get to participate! Your hugs, your kind words, your time, your service…. Those actions show love. And your child will never have to go without them. Everything outside of that is extra. Extra has to be earned! Make some lists. Write down the ins and outs of who your child is, what your family stands for, how you expect it to be represented, then set standards and expectations accordingly. 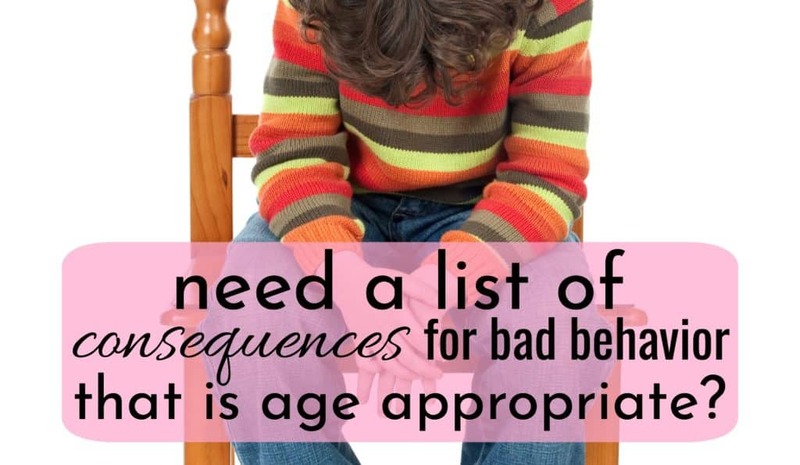 You’ll have the list to refer back to as your child ages and accomplishes an area of good behavior. Use your list along with the 5 Steps To Raising A Well-Behaved Child Ebook to establish a solid foundation. Thank you for this. Do you have any recommendations or something you could point me toward in dealing with a just-turned-two-year-old and throwing food and utensils at dinner? We have tried timeout, withholding dessert (which we don’t even do everyday, so not really a big deal), simply talking to him about it, ignoring the behavior in case it was just attention-seeking, etc. Nothing seems to be working and I’m getting very tired of it. I’m not going to withhold food from my child, so I don’t know what to do. Happens almost every meal, but particularly at dinner time, even if he likes what we’re having. Thank you! Thanks so much for reaching out. I know how frustrating this kind of behavior can be. Mealtime is just that… mealtime. If he’s throwing food, you are not withholding food by taking it away, you are withholding ammunition! As for utensils, eating with fingers is great for fine motor skills at this age. I would not offer him utensils to eat with until he is respecting and obeying your authority during meal time. Thank you for all your teachings, they inspire me for good and godly parenting. The time to start is now! She can understand a lot, and it’s important to remember that the purpose of training is SO that a child understands, not waiting for her TO understand. Make sense? How would you feel if that special baby of yours grew to be a well-behaved and extraordinary child? That’s just what the online parenting course I created is all about. Find out more here. Thanks so much for the comment! Always nice to hear from you. That’s great Kelsey! Well done! lover of Jesus, good parenting, a strong family, and raising impressive children! Welcome to Mama Duck, where I provide moms like you with the parenting skills you need to love and lead your children well and pursue your family goals! Learn more about Mama Duck! Thanks for scrolling all the way to the bottom! I’m honored you’re here. 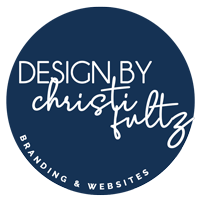 Ready to learn more about the Mama Duck difference? Click here. This eBook will give you 5 actionable steps for raising a really great kid. I value privacy! Your information will not be shared!